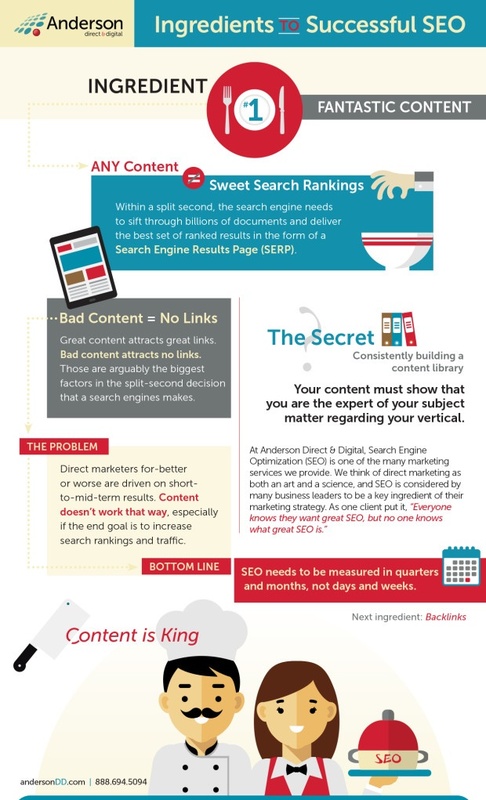 In case you missed our last post on the fourth of four ingredients to a successful SEO campaign, you can read up on it here. 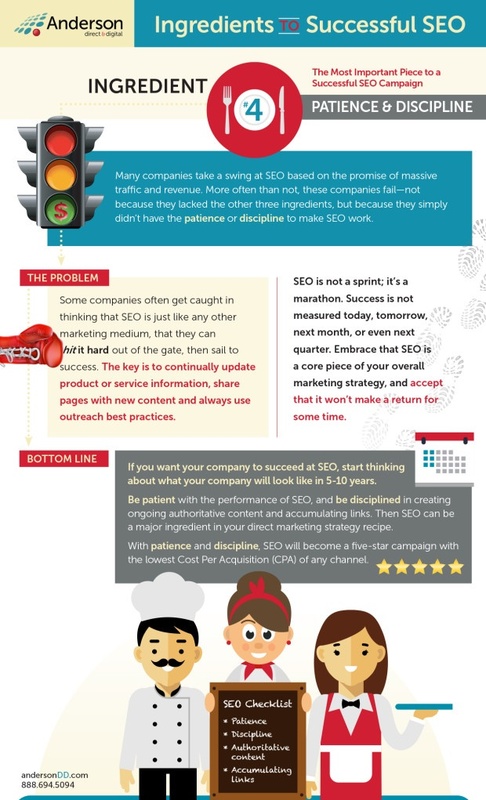 In case you missed our last post on the third of four ingredients to a successful SEO campaign, you can read up on it here. 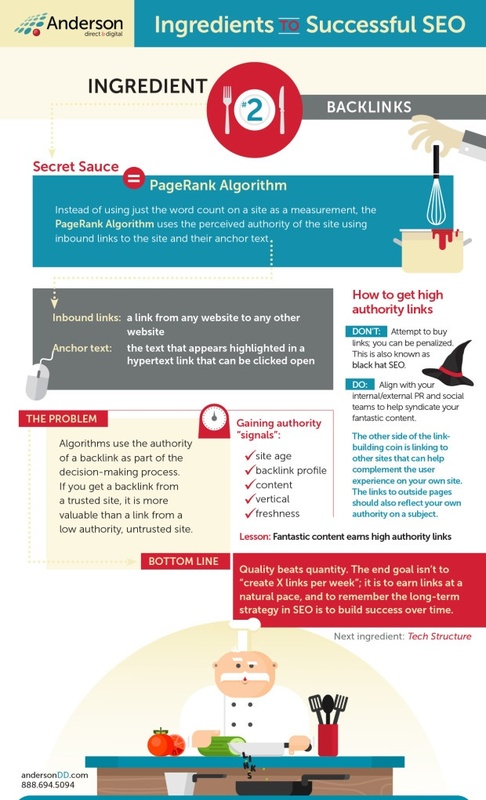 In case you missed our last post on the second of four ingredients to a successful SEO campaign, you can read up on it here. 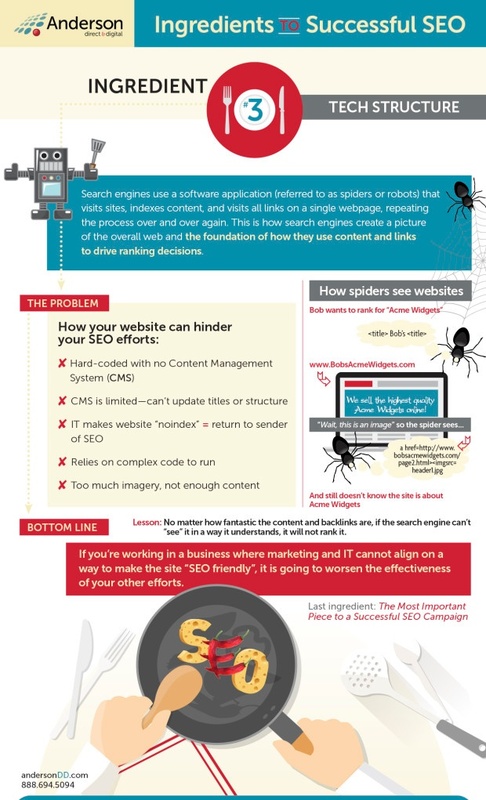 We kicked off SEO Month at Anderson with a first of four blog posts on the four key ingredients to a successful SEO campaign. You can find the first post on ingredient #1 here.